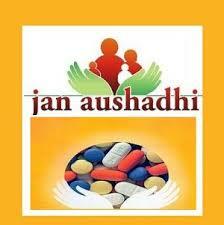 The government is all set to provide relief to patients by expanding the coverage of its Jan Aushadhi scheme. As a result, there will be a discount offer of 40-50% on 439 life-saving medicines, including cancer and cardiovascular drugs, as well as 250 medical devices like stents and implants. 300 new Jan Aushadhi stores will be opened across the country by March in the first phase followed by an addition of 3000 new stores by 2017. At present only 45 medicines are available through the exisiting network of 121 stores. As reported by the TOI, the roadmap has been drawn under the supervision of Prime Minister’s Office (PMO). “The government is concerned about exorbitantly priced medicines to treat critical diseases like cancer, diabetes and cardiovascular conditions ,” a government official said, adding that the scheme will bring down prices of essential medicines without using direct price regulation. The government has floated tenders in a bid to get the new plan rolling. The pharmaceutical retail market is pegged at 099,000 crore annually and is dominated primarily by branded generic products. Even though there is an existing cap on 348 essential medicines by the government, the frequent launch of new medicines (under new brands and alternatives) has made it difficult for to monitor the price situation. By planning a large scale expansion of Jan stores, the modus operandi is to procure drugs from companies in bulk at a discounted price, and then pass on the benefit to consumers.